From the Richmond Museum of History: April 2014 is shaping up to be an exciting month for the Richmond Museum Association (RMA)! On behalf of the board of directors, I am delighted to invite you to the following events. 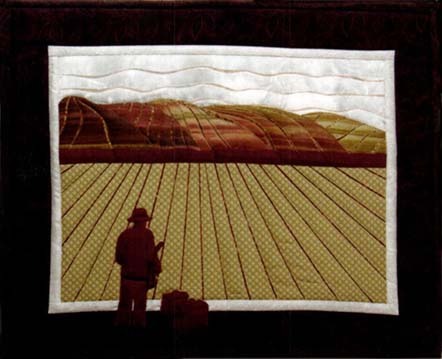 The WWII Home Front Quilt Challenge Exhibit will open on April 5 with a free artist reception! Please join us from 2:00-4:00 PM and celebrate the artists, their quilts, and history through art! The reception will take place at the Richmond Museum of History, 400 Nevin Avenue Richmond California. Light refreshments will be provided. Call 510-235-7387 for more information. Can't make it to the reception on April 5? Don't worry because the quilts will be on display at the Richmond Museum of History until Friday June 6! There is a special admission fee of $3 to view the quilts, so admission to the permanent exhibit and the quilt exhibit is $5 for adults and $4 for seniors/students. Members are free. Join us for the first Pancake Breakfast of 2014! Our volunteers have been working hard all winter restoring the SS Red Oak Victory and they are excited to show off their progress! Come on down to the Port of Richmond, have a lovely breakfast, and see the improvements for yourself. Breakfast begins at 9 and ends at 1 PM. We recommend dressing warmly as the bayfront can still be chilly in April. The SS Red Oak Victory is berthed at the to 1337 Canal Blvd, Berth 6A, Richmond California. For more information, call 510-237-2933. The Sea Chase (1956) starring John Wayne and Lana Tuner is the monthly Historic Film aboard the SS Red Oak Victory. Merchant captain John Wayne tries to evade enemy ships and get his crew home safe! The film begins at 7 pm and popcorn is available. 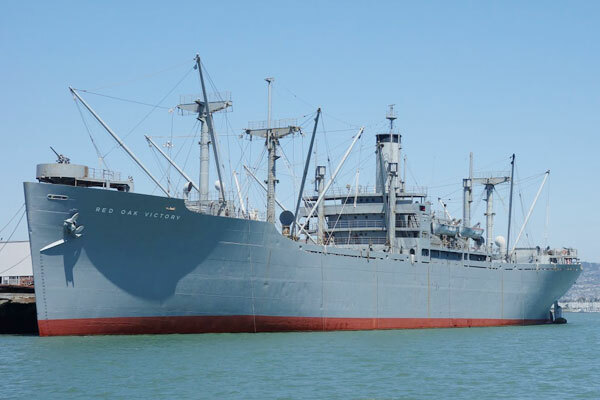 The SS Red Oak Victory is berthed at the to 1337 Canal Blvd, Berth 6A, Richmond California. For more information, call 510-237-2933. For more information about these and other RMA events, feel free to call the Richmond Museum of History at 510-235-7387 or the SS Red Oak Victory at 510-237-2933. As always, thank you for supporting your community museum!